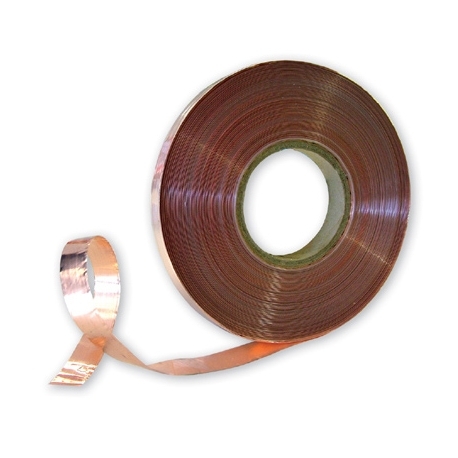 A 100m reel of 0.5mm2 insulated flat copper foil tape. Ideal for use as a floor 'loop' under light duty carpets in audio-frequency induction loop systems. 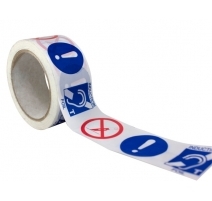 Protective tape (order code TAPE) is also required to hold the cable down and reduce the likelihood of damage. Connect to an AFILS amplifier using solder or a 1A ‘choc’ block. Single core loop cable is also available. 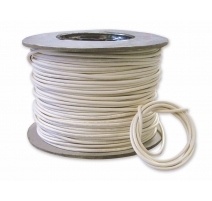 Product dimensions (mm) 0.5mm2 (equivalent flat cross sectional area of cable). Construction & finish Copper foil. 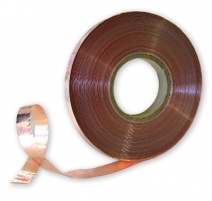 Notes The chemical elements of some self-levelling floor compounds can react with the plastic covering of copper foil tape. Before installing under such a compound, check for adverse reactions by testing a small piece of tape with the compound.